If you use Facebook on your mobile devices, maybe you’ve heard about the controversy of the messenger app surrounding its lengthy TOS that hide the fact that you kind of have no privacy while using the app. 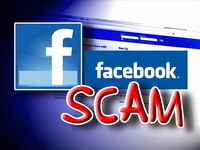 Well, there is more trouble with Facebook’s messaging system, although this time it is not because of the site, but scammers who are trying to swindle unsuspecting users. Oh yes, lottery scammers never seem to rest! This particular scam is rather ingenious actually. 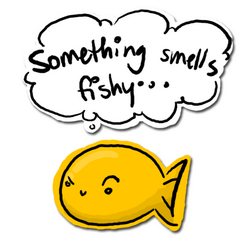 How it works is that while you are checking your news feed, one of your new contacts strikes up a message with you. Let’s be honest for a second, how many people on your friend’s list do you actually know directly? Either you friend people who are associates of people you know, they may be random people you have friended for gaming purposes or some other reason. Well, whatever the reason, you’ve friended this person. 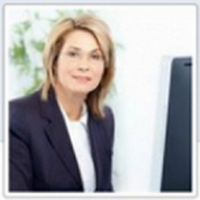 You may have noticed that her status updates are consistent, personable, funny and witty. Overall, the person seemed like a cool person so you may have never given it a second thought. However, when they decide to strike up a conversation with you and they mention that they are part of the promotions department on Facebook, Inc.
‘Emily Walker’: I am here to pass vital information to you, but before I proceed, I would like to know if you have been informed about your winning. ‘SD’: No, I had no idea that FB had a lotto? I have friends who work at Head office. I have never heard them a mention. Please proceed? 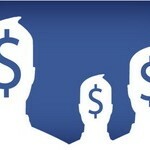 winners: (spammy link containing the words ‘winners’ and ‘Facebook’). The first thing that strikes me as odd is that she mentions the FBI. Really? That is how you want to reassure me that this so-called lottery is legit by saying it is “100% real and legit” and the “FBI is aware of the lottery promo?” As if the FBI has nothing better to do than to monitor a lottery that Facebook supposedly is offering. Anyway. In the link that is provided by “Emily,” once you click the link, it will compromise your computer, causing it to be riddled with malware, spyware, and even keylogging programs. If you have good internet security software on your computer, it should alert you of the potential dangers and not even let you on the page. 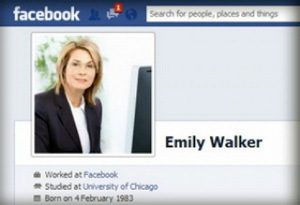 If you continue talking to “Emily,” she will ask you for your personal information and your address. She will then go on to say that your winnings will be delivered via FedEx and they will contact you to pay a fee. That very line should throw up another red flag. If you have ever used FedEx, you know that they never contact the consumer to pay a fee to have something delivered. It is always the sender that has to pay—never the recipient! Unless, it is some new practice that I’m not privy to, but I don’t think so. Because there are so many people who friend random strangers all willy nilly, you can see why Facebook is an obvious choice for scammers to hit. 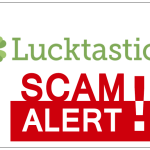 In order to prevent yourself from becoming a victim of a Facebook lottery scam, the solution is simple. Never accept requests from random people. Never click on a link from someone you don’t know. Do your research. If it sounds too good to be true, it is. If you don’t pay to play, you can’t win. 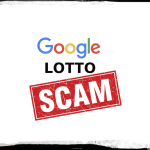 Google Lotto Scam — How to Identify a Phishing Email?